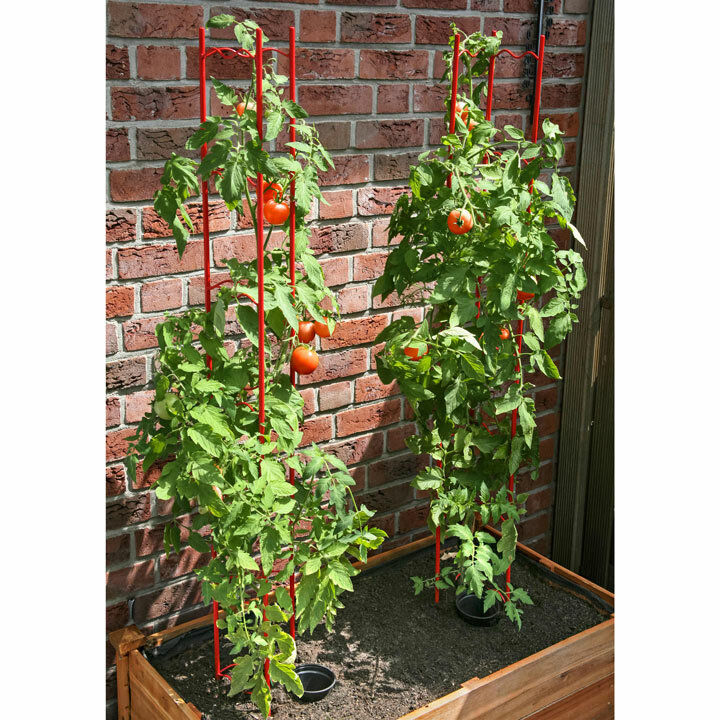 This stylish vegetable plant support is ideal for trailing your tomato plants up and is able to support up to 40kg in weight. Double powder coated, these supports are robust and durable, won’t rust or weather and will continue to look good season after season. The rounded v-shape of the support helps to protect your plants and makes it easy for them to find a secure hold. 166cm (65”) high.